Residents demanding cleanup of the Santa Susana Field Laboratory (SSFL) descended on the Grande Vista Hotel in Simi Valley December 12. Veteran SSFL activists voiced anger that they had been betrayed by the federal Environmental Protection Agency after a 23-year fight to clean up Rocketdyne to some semblance of the unpolluted paradise it was before Nazi rocketeer-turned American tool Wernher von Braun built its first two rocket test stands. EPA held the meeting to discuss the findings of its $41.5 million tests to ascertain the background levels of radionuclides at Rocketdyne and how much radiation was spread across SSFL’s Area IV. Residents said that the agreement to clean up the nuclear part of SSFL to background were deep-sixed by the EPA in favor of cleanup levels many times higher, an agreement-breaking move embraced by the state EPA’s Department of Toxic Substances Control (DTSC). But that’s not all. The study found astronomical amounts of the most dangerous man-made radionuclides known, much of it in places previously checked off as having been remediated. The 4,727-page EPA report “Draft Final Radiological Characterization of Soils, Area IV and the Northern Buffer Zone, Area IV Radiological Study” showed that the radiation contamination across Area IV of SSFL was far greater than previously known. Huge hits of strontium-90, plutonium 239-240 and cesium-137 are mapped showing wide swaths of radioactive soil, roads, and reactor remains. 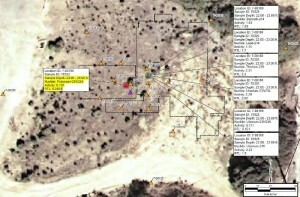 One Area IV road is contaminated with strontium-90 at 67 times background. Cesium-137 clocks in at 1,016 times normal in one spot and a stupefying 1,918 times background in another. Nearby, a borehole under an old reactor finds a hot spot deep beneath the surface: Plutonium 239-240 over 24 feet down intensely ionizing at over 92 times background. What makes these enormous radiation readings even more alarming is the fact that most of Area IV has supposedly been remediated, twice in some cases. 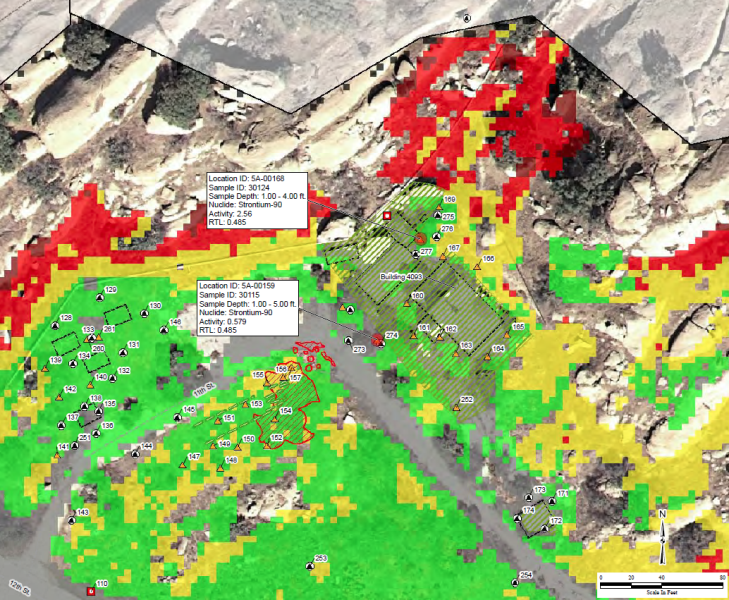 Plus, government surveys signed off on these areas declaring them fit for unrestricted use. Perhaps the whopping finds were indicative of the slipshod manner in which the cleanup was conducted, much like the shabby job remediating Area I. Equally alarming, the EPA accurately sampled, tested and tallied the contamination in Area IV but instead of comparing it to background levels of contamination that EPA itself determined, the agency tossed the use of background out the window. Instead a complicated formula was suggested as being more accurate in the lab even though the method would leave huge amounts of contaminated soil in place. This is a direct contravention of 2010 Agreement on Consent (AOC) between the Department of Energy (DOE) and DTSC to finally cleanup Rocketdyne by remediating to background. DTSC has the same agreement with NASA. The federal EPA was paid to perform for DOE and DTSC, but instead it has effectively said to pay no attention to the background numbers and go with levels the EnviroReporter.com previously exposed in Radiation Readings Soar at Rocketdyne and Rocketdyne Still Hot as being substantially above their respective normal levels in soil identical to Rocketdyne’s defiled dirt. Thus, the EPA has effectively gutted the cleanup by dismissing the Background Threshold Values (BTVs) that the agency’s contractor detected over the last three years costing tens of millions. It also failed to deliver on what it promised – background levels for 55 radionuclides and a clear map of where they exist over their BTVs so they can be remediated. Not only has the federal agency pulled another elaborate bait and switch, it has done so in a clearly orchestrated show with DTSC. That became apparent at a DTSC “Radiological Look-Up Table Update Meeting” at DTSC’s Chatsworth headquarters December 5. 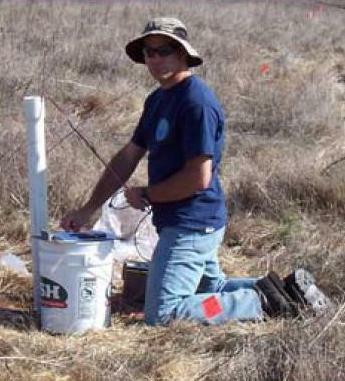 DTSC’s project manager for SSFL, Mark Malinowski, was accompanied by the federal EPA team assigned to SSFL with longtime Rocketdyne vet Gregg Dempsey as he introduced a 45-slide PowerPoint explaining why background values didn’t really amount to much. As hard as Malinowski and Dempsey tried to the sell the large crowd on why background was being shown the backdoor, the convoluted explanations didn’t add up. The result, though, was quite clear: background values so expensively derived would be disregarded. Background is background. It means normal. And in Rocketdyne’s case, back to normal. The EPA’s decision to jettison the very core of the cleanup after burning through the $41.5 million it received from DOE to remediate Area IV brings up some troubling questions. Since accurate backgrounds were established and samples accurately measured in the EPA Area IV radiation survey, why wouldn’t remediation triggers be the BTVs as the Agreement on Consent (AOC) clearly spells out? Why did EPA and DTSC even do this sampling and testing in the first place if all EPA was going to produce was suggestions to break the very basis of the cleanup agreement? Does this amount to more than another public outrage that will leave Rocketdyne contaminated forever? Or, activists wonder, is it fraud and abuse of state and federal taxpayer dollars in a coordinated scheme to save Boeing millions of dollars? So a little of that “extra effort” was made and it paid off. 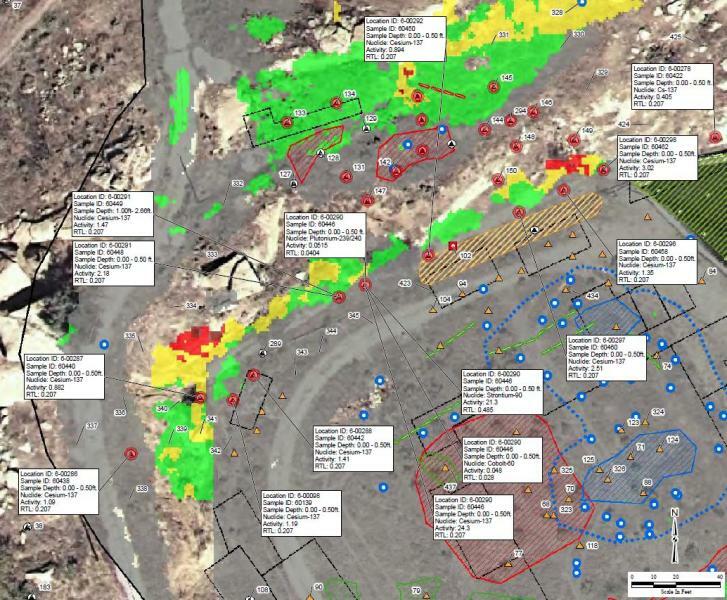 Accurate BTVs on 52 radionuclides of concern and a total of 3,487 environmental soil samples and 55 sediment samples, not including quality control field duplicates, were collected in Area IV. The EPA says 423 of the samples contained man-made radioactive contaminants exceeding background levels. But now the EPA and the lead SSFL cleanup agency, DTSC, say that achieving accurate measurements down to background levels couldn’t be done again, it shouldn’t be done again, so it wouldn’t be done again. Instead, in a few years time and significant mumbo jumbo math and pseudo-science, the toxic departments will cook up a set of cleanup numbers that will be vastly higher than background. Dan Hirsch president of the nuclear watchdog group Committee to Bridge the Gap, would have none of it. And not logical. When pressed on why EPA maintains that laboratories can detect down to background on the study but couldn’t on the remediation, Dempsey offered this explanation: the labs just weren’t interested in the money, even with the tens of millions blown on the cleanup in just the last three years with nothing to show for it but scary maps and scarier radiation readings. The obvious question was, why can labs detect down to background on the background study but not be able to detect to background on the remediation? In other words, federal EPA-contracted laboratories choose just what kind of quality work they do under government obligation. That would be akin to Boeing technicians maybe not feeling like including radars or a wheel on its F-18 fighter jets when whimsy took them. Such an explanation is outrageous on the face of it. It is what Vice President Joe Biden would call malarkey. Some community members felt that the sham was yet another indication of Boeing’s influence on the state’s regulatory agencies. 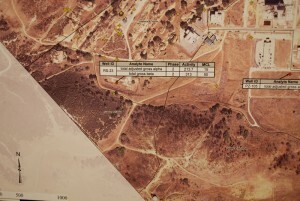 They contend that the federal EPA and DTSC are playing the community, elected representatives and media for simpletons by trying to sell them on the notion that despite clear agreements to clean to background with new measurements establishing background and data showing where all the Area IV contamination is above background, that cleaning to background isn’t the “responsible” thing to do. It’s the laboratories which are at fault, not the EPA which was in charge of spending $41.5 million with nothing to show for it. Now, the Department of Energy is stuck with a worthless report if implemented as planned, and is out millions with no clear and present direction to clean up its contaminated site. The tractors and trucks could have been rolling by Spring 2013 and Area IV finally getting the remediation that was agreed to and could be commenced expeditiously. The federal EPA’s explanation at the DTSC meeting as to the reason it gutted its own detailed and well-executed sampling and lab testing doesn’t wash. Not producing the required job product that the agency was required to give to DTSC, and DTSC actually accepting this non-delivery thankfully, smacks of cronyism and contempt for the longtime community fighting to cleanup Rocketdyne. The community believes it has been betrayed once again as has the American taxpayer. The other gooey shoe that dropped from the EPA radiation report, unfortunately for Boeing’s meltdown makeover, is just how hot the rad readings are in Area IV. With EPA’s gutting of the cleanup to background, the consequences of leaving radioactive soil, asphalt and building foundations in place could become abundantly clear if SSFL ever becomes public open space – much of the place will be hot with some of the most dangerous man-made radionuclides on the planet. 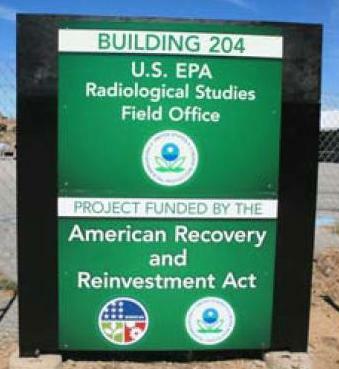 A federal appropriations law instructed DOE and EPA in 2008 to work together on a mutual radiation characterization of Area IV of SSFL in accordance with the Comprehensive Environmental Response, Compensation & Liability Act known as CERCLA. DOE then gave EPA $41.5 million to conduct a background radiological study for SSFL and a radiological contamination sweep of Area IV and the Northern Buffer Zone. Most of the money for EPA’s studies, $38.3 million, came from funding distributed to DOE under the American Recovery and Reinvestment Act of 2009. 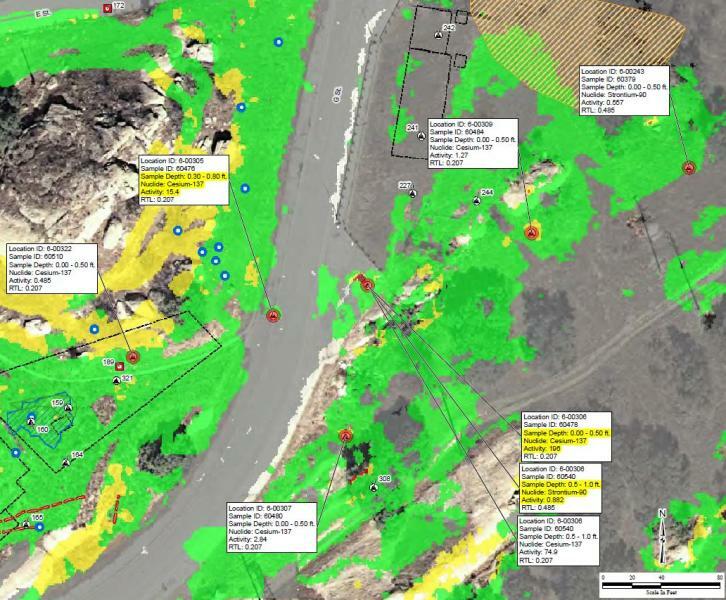 The Department of Energy, which leases 90 acres of the 270-acre Area IV site from Boeing, charged EPA with performing this site-wide survey and producing a “Look-up Table” or LUT. A LUT lists each radionuclide’s background, which sometimes can vary from the surface to underground. Also required of EPA was a report on the thousands of tests, including precise maps of where the contamination was so it could be dug out or remediated in place by DTSC. No more time-consuming and expensive risk assessments or arguments over the details of cleanup levels: just remediate anything over background. All told, full cleanup of the huge lab was supposed to be complete by 2017 and could have been if this simple formula, agreed on over two years ago, was followed. 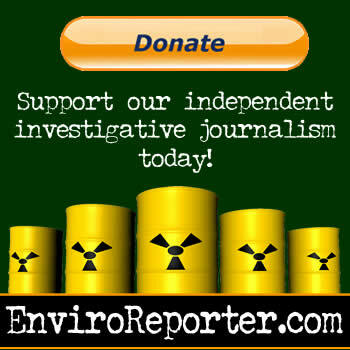 An analysis of thousands of pages of the EPA study by EnviroReporter.com reveals that the company subcontracted out to do the study, HydroGeoLogic, Inc., dismissed the use of the background levels on the very first page of its report as if the AOCs didn’t exist. The $41.5 million question is what part of “background levels are the cleanup levels” did HGL not understand? Instead, DOE has been handed a hugely expensive report that doesn’t delineate and map out where the poisons over background are so they can be dealt with in accordance to the deal it signed with DTSC. HGL repeats, in various versions throughout the thousands of pages of its EPA report, complex and inscrutable explanations for why background cleanup levels shouldn’t be used because of accuracy problems. As specious an exercise as it is, the only consequence of potentially small margins of error in the actual cleanup by labs that will be contracted to do the work is that there is the small chance remediators would clean up too much by excavating an inch or two too deep in radioactive soil. This supposed background cleanup level inaccuracy comes impudently as HGL simultaneously presents in the same report accurate backgrounds of the radionuclides of concern as well as precise detections and measurements of this suite of radioactive isotopes throughout Area IV. Shoveling through this mountain of malarkey doesn’t obscure the fact that HGL’s measurements are accurate therefore future measurements at the lab can be too. The EPA clearly did not edit or alter the report to reflect the DOE/DTSC Agreement on Consent of cleaning to background. Instead, the reader is treated to a treatise on statistical probability and the minimum detection levels of heretofore unpicked laboratories which will test the soil excavated from Area IV someday. Those real uncertainties, introduced by HGL for the EPA, would make it impossible to even begin the cleanup until years from now. Nothing changes the very real readings of radiation in Area IV that populate the EPA report by HGL. The huge hits over vast areas are the best characterization that Area IV has had to date. The results aren’t pretty but they sure are hot. 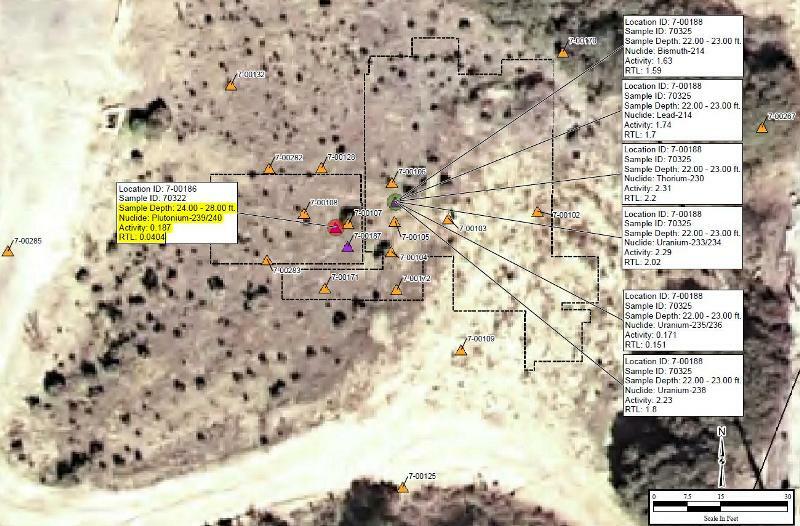 Plutonium 239-240’s highly elevated detection in a bore hole where the Shield Test Irradiation Reactor (STIR) provides insight into the problems of cleaning up a place as polluted as SSFL. On multiple occasions, the STIR site was declared clean and then released for unrestricted use. The EPA-funded radiation survey found Pu-239-240 at over 92 times background 24 to 28 feet below where the STIR reactor was situated. Not only is this a high multiple of background – California Highway Patrol protocol dictates anything over 3 times background is a possible hazmat situation – the radionuclide is particularly deadly. A pound of Pu 239-240 could kill about 2 million people through inhalation according to Bernard L. Cohen, author of “The Nuclear Energy Option, Chapter 13, Plutonium and Bombs” in 1990. Breathing in Pu 239-240 is about 23,000 times more hazardous than inhaling weapons-grade uranium and 130,000 times more dangerous when ingested. The super hot spot was found under where the actual STIR reactor once stood. Today it looks like an inviting field to kick the ball around in a future new park or perhaps have a picnic on the level site with an incredible view of the mountains. It even has the original stone staircase leading up this field where no vegetation appears to grow. That’s where the Pu 239-240 was found. It’s still there today and will likely remain so, since the $41.5 million was apparently only spent on establishing background for a look-up table and locating all the dirt defiled by any man-made radiation found over background. The California Department of Health Services, now the Department of Public Health, said the site was cleared for unrestricted use in December 1995. DOE released the building without restrictions in April 1997 followed by the EPA confirming DOE’s results in December 2002. With the reactor building demolished and gone, the bare site got two more all-clear confirmations in November 2006 and February 2008. Perfect for a park, right? So would Building 4023, which used to be called the Liquid Metals Component Test Building and the Corrosion Test Loop. In 1976, nuclear engineers tested activated steel Experimental Boilers Reactor fuel cladding in a small test loop of sodium to see how fast it could make the sodium radioactive. Building 4023 was demolished in 1999 but the hot stuff remains. The EPA report found nickel-59 at 69 times background. With a half life of 75,000 years, nickel-59 is “the isotope of most concern at [DOE] environmental management sites such as Hanford,” according to the Argonne National Laboratory. Nickel-59, a beta and gamma emitter, is thought to be carcinogenic if inhaled. These are just two examples of deadly radionuclides at high levels at Area IV. Most of the radiation over background at the site will be left in place if the EPA and DTSC decision to unilaterally abandon the AOCs is allowed. It appears to be the culmination of a plan hatched with the misimpression that the majority of the residents and their advocates are going to sit back and watch a multi-national polluter and its allies cow the community into silence. “So we’re now in a situation where $40 million was wasted in several years,” Hirsch said via telephone at the December 5 DTSC meeting. “They determined background, they found where it exceeds it. You’re throwing that all out saying we’ll wait several years saying we’ll come up with new look-up tables that are much higher, that are not the background values, violating the AOC and by your own admission will leave in place a fair amount of soil that EPA has determined is above background. DOE, you are now placed in a position that if you go along with this you’re going to have wasted all of that money and time. 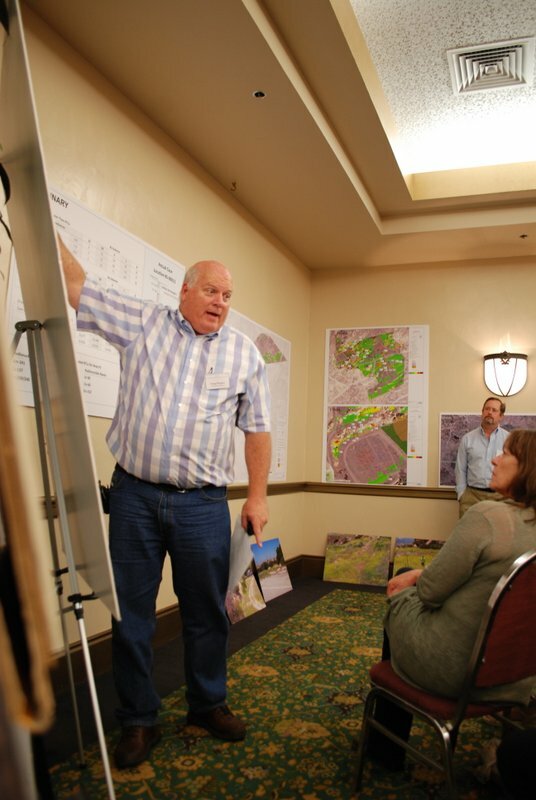 Faced with a community incensed by EPA chucking out its own background standards, the EPA held its own meeting December 12 at the Grande Vista in Simi Valley. This time DTSC tagged along with the federal agency, toxic twins telling tall tales. Television crews swarmed the hotel lobby looking for concerned folks to interview. They found no shortage of community members as well as a squad of active astroturfers doing Boeing’s bidding. Amazingly, but not surprisingly because of the monies probably involved, Makeover Earth’s Gary Polakovic showed up even as his Boeing meltdown makeover plan had been exposed in the Daily News and EnviroReporter.com. It appears that Polakovic had read the exposé because his boast that he founded the Society of Environmental Journalists and had led SEJ has vanished from his LinkedIn page. His claim that he pioneered environmental journalism in California, though, remained intact. 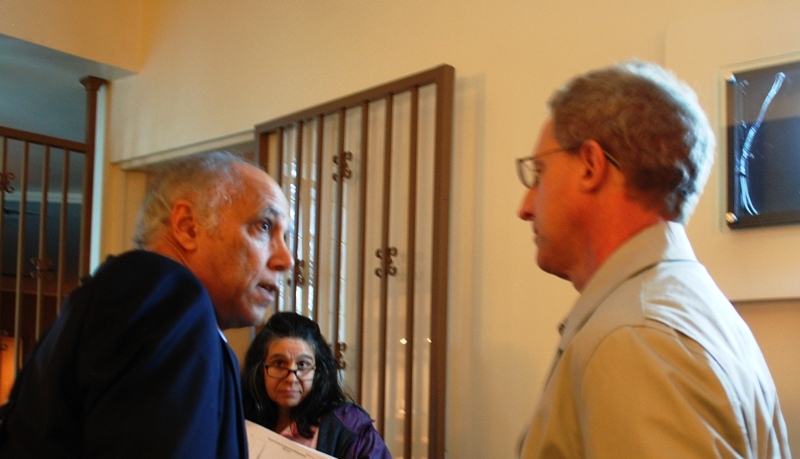 Polakovic waited until Dan Hirsch and longtime community members concluded a pre-meeting press conference about the high radiation hits in the final EPA’s Area IV radiation report. This reporter watched as Polakovic, mid-fifties with tufts of sandy hair, approached Hirsch. 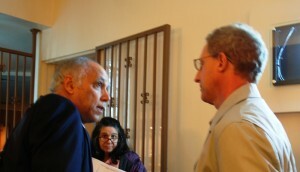 Startled, Hirsch faced the former Los Angeles Times reporter, who proclaimed that when he covered the Rocketdyne issue as a journalist, he was fair and reported both sides. Polakovic then repeated himself, giving this reporter the impression that what he meant was that since he had been an even-handed journalist back in the day, he should be cut some slack for greenwashing the SSFL contamination now on Boeing’s nickel. Polakovic’s meltdown makeover plan also made it clear that Boeing would need to make use of “third parties who endorse Boeing’s vision for open space” and “grow their stature” so that they could help “blunt allegations of greenwashing.” It was clear just whose stature he’d been trying to grow when local activist John Luker walked in the lobby and greeted Polakovic like a long lost friend. 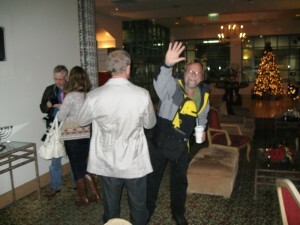 Gary Polakovic greets Boeing “third party” ally John Luker, who waves sarcastically at EnviroReporter.com. After a few words between the pair, Luker was working the television crews and ended up caging CBS Channel 2 News into interviewing him. Later that night, Luker appeared in TV reporter Dave Bryan’s news story. While the comment may seem supercilious, it aimed to create doubt and mock cleaning up to background. Polakovic may have thus earned his thirty pieces of silver from Boeing, this time pioneering in earnest the metamorphosis from professional journalist to paid propagandist for polluters. After interviewing community members and activists, the cameras rolled into the big EPA event. 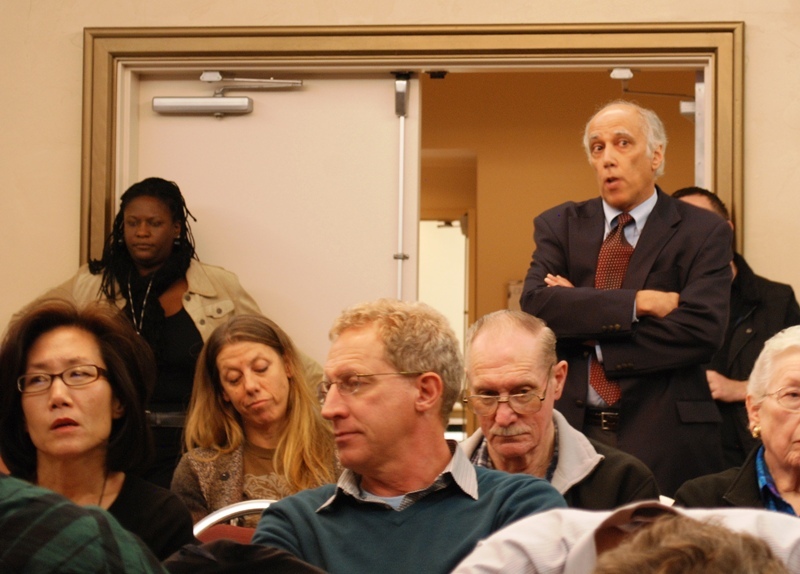 The meeting mirrored the December 5 DTSC show, where supposed experts tried to convince the audience that while they could detect background levels of radiation and establish a baseline over which remediation is required, they couldn’t guarantee that DTSC could. Therefore, according to this twisted logic, it was necessary to toss the background numbers and come up with an incomprehensible formula that would result in vastly higher cleanup levels. The only difference, however, was the EPA consumed $41.5 million to come up with none of the requirements they were charged with: determining background and mapping out where was the contaminated soil and groundwater. No background look-up table table determining remediation and no map of what has to be remediated and the EPA folks “feel good about it.” This might rank as one of the most costly pollution placebos in EPA history, but the problem is that no one other than DTSC, Boeing and its astroturf team feel the same way. 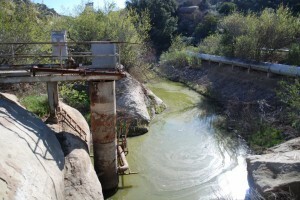 Boeing’s big bamboozle not only effects local residents on both sides of the lab in the Simi and San Fernando valleys, the reach of its effluent stretches the 48-mile length of the Los Angeles River and down Runkle Canyon and Brandeis-Bardin into the Arroyo Simi and Cahuegas Creek. In either direction, this goo ends up in the Pacific along Southern California beaches where millions of people swim, surf and fish. 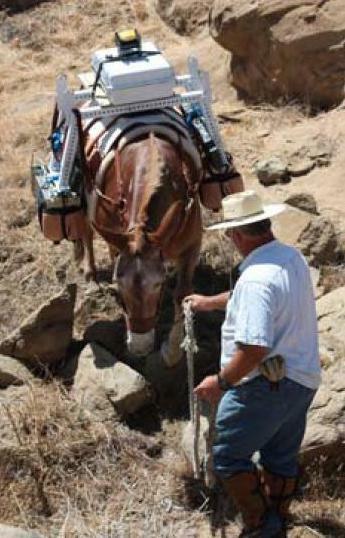 That surface water will continue to pollute both sides of SSFL as recent offsite radiation readings show, such as the huge alpha readings in a Brandeis-Bardin water well on the American Jewish University campus which includes a working ranch with animals drinking well water. 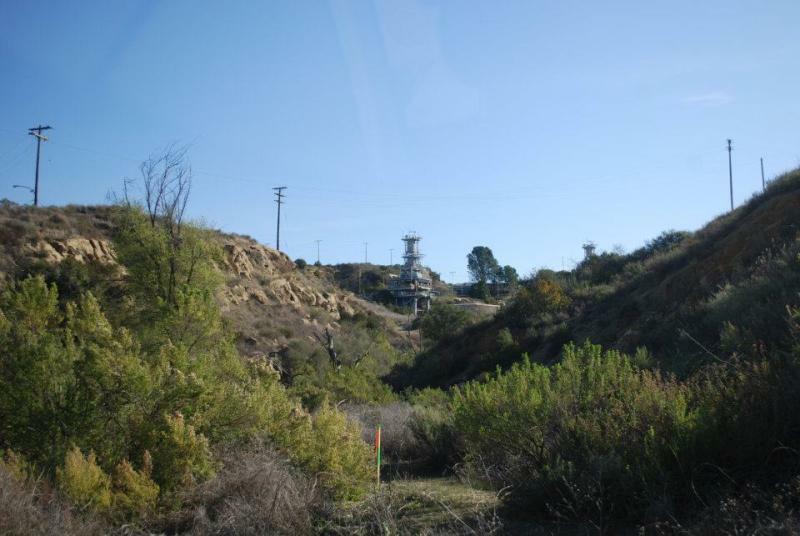 Less than 300 feet uphill from Runkle Canyon into which it drains, is an Area IV hot spot of strontium-90 that tested 114 times background for the deadly radionuclide which, along with cesium-137, are the two most widespread SSFL hot toxins. This silent pestilence has been explained away by DTSC in Runkle Canyon. That gave Westwood-based KB Home the all-clear to build in the contaminated canyon earlier this year despite the fact that the Clean Water Act applies to polluted Runkle Creek and was not adhered to. 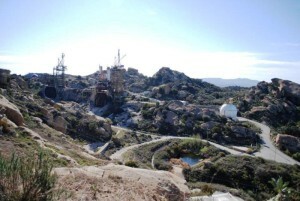 KB Home’s numerous omissions of fact last summer when convincing the city of Simi Valley’s planning commission and city council that Runkle Canyon should be given an extension to build could come back to confound the developer. The highly contaminated Alpha rocket test stands are the headwaters of the Los Angeles River beginning in eastern Ventura County. Failure to fix Boeing’s defiled dirt and water will sully plans to renovate and rejuvenate the river to the tune of $2 billion over the next 50 years because of the continued pollution sluicing down the headwaters and other SSFL canyons into it. The Los Angeles River is the centerpiece of the city of Los Angeles’ Master Plan. Ambitious design ideas have been learned from the Cheonggyecheon River renovation in the heart of Seoul, South Korea, where the waterway was made more natural again encouraging the public to literally come into contact with it. The October 19 unveiling of the winning design for the $401 million new 6th Street Bridge east of downtown Los Angeles showed just how vibrant the vision is for the L.A. River’s renewal. Diagrams show how the public will be able to access the water with ease. Fouling the river from its very headwaters could make river improvements futile since the goal includes safe water for wading, kayaking and fishing. Around 118 million gallons of Rocketdyne runoff pour into the Los Angeles River every year through Bell and Dayton canyons in Canoga Park. The gushing goo prompted a $471,000 fine from the Los Angeles Regional Water Quality Control Board in 2007 for 79 pollution violations of it slushing into the river. Friends of the Los Angeles River, FoLAR, has fought since 1985 to “protect and restore the natural and historic heritage of the Los Angeles River and its riparian habitat through inclusive planning, education and wise stewardship,” according to its website. 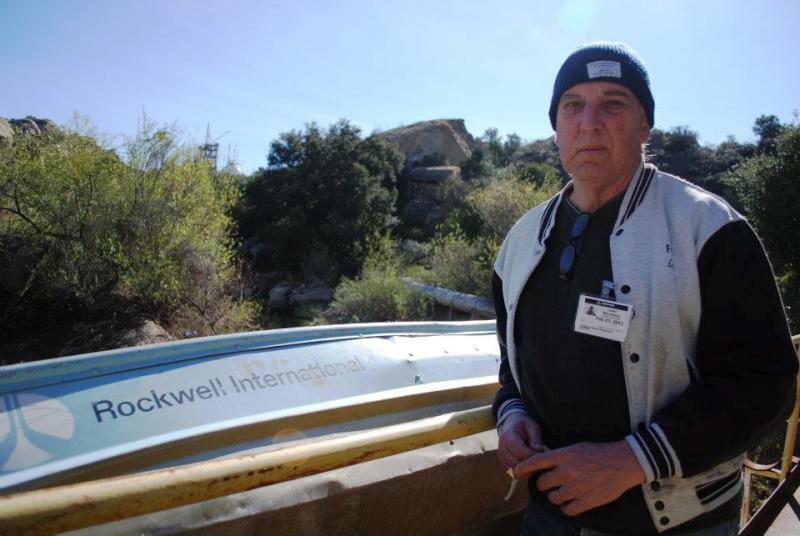 One of its co-founders is Lewis MacAdams, a much-lauded poet, activist, journalist, and the L.A. River’s most powerful advocate. Last February, MacAdams went with Bill Bowling to look at the headwaters of the Los Angeles River itself, Rocketdyne. Accompanied by Merrilee Fellows, a manager in Risk Communications at NASA, they explored rocket test stand complexes and runoff waste “ponds,” one even equipped with an old Rockwell International row boat nevertheless kept shipshape. Boeing, DTSC, the state and federal EPA and their community collaborators have made clear their intentions to subvert the agreed-to cleanup. Whether political leaders have the willpower to stand up to this onslaught, now jettisoned along with $41.5 million taxpayer dollars, remains to be seen. An investigation into fraud and misuse of government funds might find some answers. A good greenwashing plan, however, relies on stealth, secrecy and solid players. On all three counts, Boeing and its allies have failed. 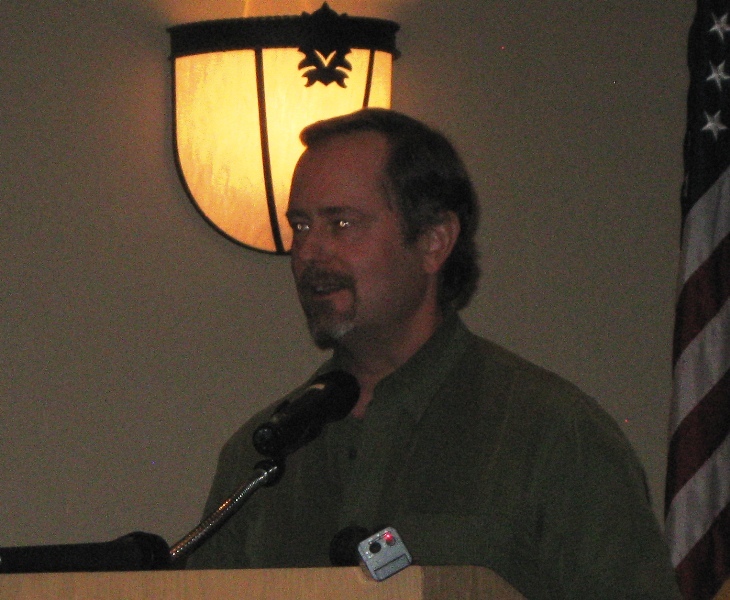 EnviroReporter.com’s Greenwashing Rocketdyne exposed Boeing’s secret plan to co-opt the media, thanks to Polakovic’s indiscreet layout artist. The former reporter pioneered a spectacular and dangerous deceit that shames the Pulitzer Prize he won with 43 other people from the Los Angeles Times where Polakovic still contributes. As covered in Dirty Deeds, Bill Bowling’s films of Boeing’s dust cloud-creating cleanup in Area I shined a spotlight on the company’s bid to knock down as much of the contaminated buildings as quickly as possible, perhaps done with tacit DTSC approval or simply department ineptitude. The consequences of this kind of cleanup are plain to see: huge clouds of contaminated dust made aloft and blowing into the San Fernando Valley and all over what is supposed to become public open space. The negligent bulldozing goes on seemingly without regard to the workers doing the grading or to the property that Boeing says “poses no significant risk to human health today” according to Make Over Earth’s SSFL draft media campaign. Boeing has also botched its efforts to replace the community, as reported in Operation Astroturf, pinning its hopes and money on an activist who left reams of evidence of her alliance with the aerospace giant to create an astroturf CAG in 2009, and of her continuing inappropriate and hostile behavior toward the community, agency representatives, and public officials. DTSC also swallowed this spiked lemonade, killing the longstanding SSFL Inter-Agency Work Group over the objections of hundreds and spending thousands to set up a CAG that many community members view as illegitimate. But, as Toxic Department reveals, the agency may simply be doing the bidding of Boeing lobbyists paid to derail the cleanup and the community dedicated to it. As this article exposes, violations of the Racketeer Influenced and Corrupt Organizations Act may well have taken place. Millions of dollars from Obama’s stimulus plan have evaporated at SSFL in a flurry of sampling and testing that was comprehensive and accurate until it was reinterpreted into irrelevance. Without the Work Group, the community has been challenged in fighting back. No longer can press, elected officials, and public attend these quarterly meetings that may have caught the agency shenanigans before it was too late. This censorship fits in perfectly with Polakovic’s scheme to massage the meltdown makeover so it feels good to folks who couldn’t be bothered with cleanup fights and just want to go for a hike at the picturesque site dotted with Cold War relics and ruins. Longtime Rocketdyne activist and resident Barbara Johnson, herself like the other three leaders of the Rocketdyne Cleanup Coalition a cancer survivor, says that while she is personally dismayed, her biggest concern is for others. There is a story going around that a group of Bell Canyon residents deny that the reactor melt downs at Rocketdyne ever occurred, deny that radioactive contamination at Rocketdyne exists, and seek to disrupt any use of the main roads in Bell Canyon for trucks to remove radioactive soil from what is now euphamistically called the Santa Susana Field Lab aka Rocketdyne. Clearly these “radiation deniers” are being manipulated by Boeing to some extent. Clearly, DOE could require Boeing to build a new “haul road” in a location which would protect residents of all surrounding communities from radioactive dust flying off trucks as they head towards proper dump sites. I lived in Simi Valley from 1963-1975 and was in the first graduating class of Royal high. One of the things that struck me, growing up in Simi, was the strange diseases I saw cropping g up in different families I knew. 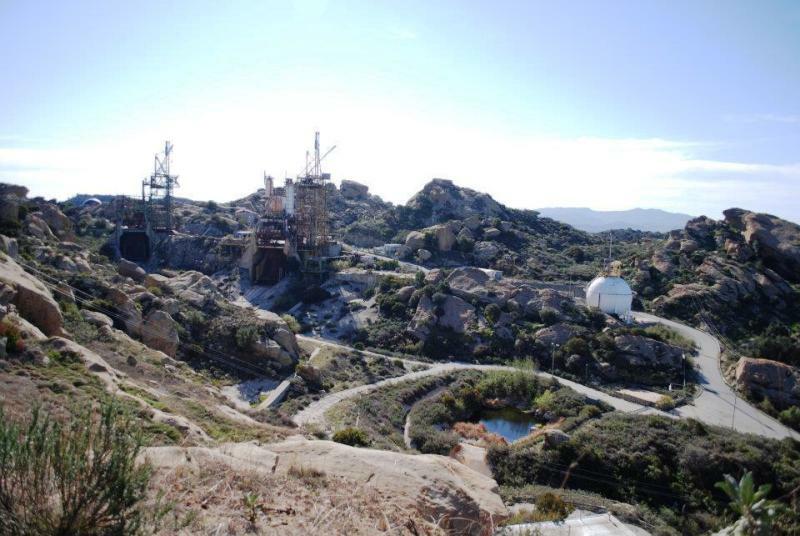 During the years since then, I often wondered if these problems came from the continual exposure many of us faced living at the base of the mountain that housed rocketdyne. I have friends who grew up to have children born with severe abnormalities, unusual cancers and seemingly healthy people dropped dead from heart attacks. I sincerely hope that more research is done so the people living in Simi will be protected. It is disheartening to hear a representative from the EPA say such ridiculous and condescending things. The public does not deserve such scurrilous treatment from the very people we pay to do a job. They owe everyone a legitimate reason for utterly failing at their task. Not unlike the tobacco dwarves, this bunch needs to be called before Congress and required to reimburse the taxpayers. After which, they should be sentenced to ten years of living in Area IV, eating only what they grow in the contaminated ground and drinking only the contaminated water. Any person who can say Michael Collins and Dan Hirsch are disingenuous, uninformed, or grandstanding is basically an idiot with an agenda. They have both given the rest of us the freedom to go about our daily lives, knowing that someone is watching the store and taking inventory. Boeing may believe it is all over, especially when they say so repeatedly. Boeing can lie like a rug, but the truth never changes. Now, it has been written down in detail. My heartfelt thanks to all of the citizen-soldiers who have taken up the battle at great personal cost. “Another Simi Mom” has got a hell of an idea — it would be awesome if Collins could rip the lid off the EPA’s performance on all these toxic sites. The EPA seems to treat the Rocketdynes and coal companies of the world as clients — not as the miscreants they are. Even more exposure might not help, though — it’s frustrating to read all this and to realize that despite the exposure, the polluters are getting away with it — aided and abetted by stooges and PR hacks. By the time I finished reading this final article, I was seriously nauseated and absolutely OUTRAGED! The Government agencies involved here, have accepted and now spent $41.5M of the tax payers’ money, and yet have not provided the agreed upon look-up table and other necessary information. Nevertheless,they seem to be planning to depart with their task undone. This just has to be illegal! Meanwhile, they have apparently decided that we really don’t need to excavate all of the contaminants down to background…only 1%..which means leaving 99% of it in the ground. Go figure that one! Meanwhile also, Boeing, the billion dollar corporation, is sponsoring a public relations campaign to get public APPROVAL for leaving the SSFL acreage still heavily contaminated with radionuclides and toxic chemicals…to be declared Open Space and a “Park” for everyone to enjoy. Unfortunately, this is the plot of an all too familiar story like Downey, Rocky Flats, Hanford and probably other nuclear sites. The story has to do with accepting public money, making acceptable sounding promises..but then doing a bait and switch…and finally…LEAVING when the money runs out…..leaving behind carcinogenic radionuclides and toxic chemicals…but taking with them, their army of government and corporation attorneys. It seems to me, that at this time, ALL of the environmental activists absolutely need to talk to each other, work with each other and make sure that the public is informed, no matter how divided their strongly held opinions may be on how deep we should dig. This needs to be done, lest Boeing have an opportunity to exploit these divisions in the Community to the detriment of everyone. We simply cannot afford to take this RISK! These stories are staggering. I have been an observer and been in the middle of the battle since 1995. Thank you Dan Hirsch for supporting our community. I have seen you pounded down when you accurately uncovered motives and truths to rise up stronger than ever. Michael Collins has brilliantly and silently stored data to accurately report in detail our long struggle to clean up Santa Susana. William Bowling is also brilliant in his fact finding and picture taking to capture details that most of us missed. This slip-shod cleanup of nuclear facilities is sadly going on all over the United States. Rocky Flats is one example of an “accelerated cleaup” that went wrong. The plutonium found after the cleanup was as high as precleanup numbers. Their nature park never opened and a proposed new highway would have been built on residual plutonium with high levels of breathable plutonium under houses. The biggest mistake that Boeing made was promoting a CAG. The thousands of letters that were sent out seeking participation only advertised the local mess in our community to new people who didn’t know about it. At the Decembe 12 meeting there were lots of new people with their own horror stories of cancer and sickness who wanted answers from the EPA thinking that the EPA would protect them. As a former worker and cancer survivor, I learned a long time ago that people are expendable and corporate profits are king. It is an eye opener when the corporation does everything in their power to stop sick workers from getting federal compensation. Amazingly well thought out story Mr. Collins. Thanks for helping normal Simi Valley residents and alumni understand what is at stake. The only relevant “facts” which I can add are that Simi Valley’s new Congressman will be none other than Howard “Buck” McKeon, Chairman of the House Armed Services Committee. Buck’s resume, before entering Congress, was that he and his brothers owned a cowboy boot store in heavily contaminated Canyon Country, which ultimately went bankrupt stiffing a lot of local creditors. Buck’s major, in college, was animal husbandry. So that gives you a clue about the intellectual level of Simi Valley’s new Congressman whose principal job, theoretically, is to protect his constituents from harm at the hands of the Federal government. 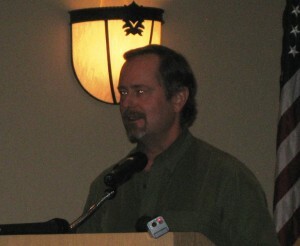 In the run-up to the November 2012 election, Buck found himself on the hot seat in the center of his District, because, in the previous 10 years, he had failed to follow through on his promise to Santa Clarita, Lancaster and Palmdale constituents that he would protect those communities’ access to the San Fernando Valley and beyond by arranging for the BLM and a Mexican gravel mining company to move their proposed “biggest gravel mine in the U.S.” away from the 14 Freeway out to the desert near Barstow. Congressman Buck following through on his promise to his constituents would have had the added benefit of protecting the air quality in Santa Clarita, which has one of the highest childhood asthma rates in the country. However, Congressman Buck couldn’t get the job done for his constituents because he was “too busy Chairing the House Armed Services Committee” and worrying about whether all of his defense contractor campaign contributors were happy and busy collecting Federal dollars. During the November 2012 re-election campaign, Congressman Buck’s constituents learned that one of his “Top 5” contributors is Boeing. When interviewed on CNN about the “fiscal cliff” all that Congressman Buck could talk about was his conversations with Presidents of major defense contractors, who were very worried that under Sequestration the dollar amounts of their defense contracts would be cut. When asked, at a campaign forum, what he was going to do to support the remediation of Rocketdyne, Congressman Buck feigned ignorance, and tried to make his audience believe he knew nothing about Rocketdyne or its owner, Boeing. So it’s absolutely no surprise that Boeing is advocating a lowered remediation standard at Rocketdyne when it’s clear they will be supported by the Congressman in whose District Rocketdyne is located. As to DTSC’s top-to-bottom treachery towards Californians’ health, Michael Collins has told us all we need to know. As to the EPA, if one digs through national and local press stories, one can see EPA’s top political appointee decision makers back-peddling left and right on rigorously protecting the public health in terms of clean air, clean water and toxics remediation. Those not deluded by President Obama’s rhetorical flourishes understand that he and his staff, full of young Wall Street investment bank alumni, do not want the EPA being tough on private polluters let alone using a significant part of the Federal budget by spending money for remediation of former Federal facilities. I dare not ask Michael Collins to write one of his thorough exposes concerning EPA’s failings nationwide during the Obama Administration. Perhaps he’s told us all we need to know about EPA, by telling us they shut down their radiation monitors in Hawaii, after the Fukushima melt down began. To Dan Hirsch, the ladies from the Knolls, and all of the other honest activists demanding a thorough remediation at Rocketdyne, God bless. I hope 2013 becomes a successful year for you.